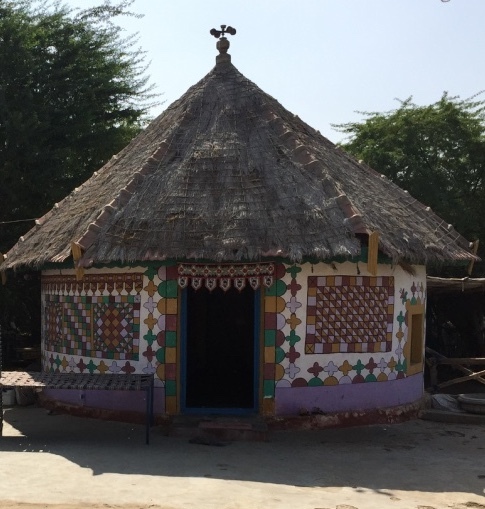 During June, Cultural Cloth is hosting an exhibit of vintage Ralli Quilts that we collected on a recent trip to India. All of the pieces are for sale. You can see them up close on our website. 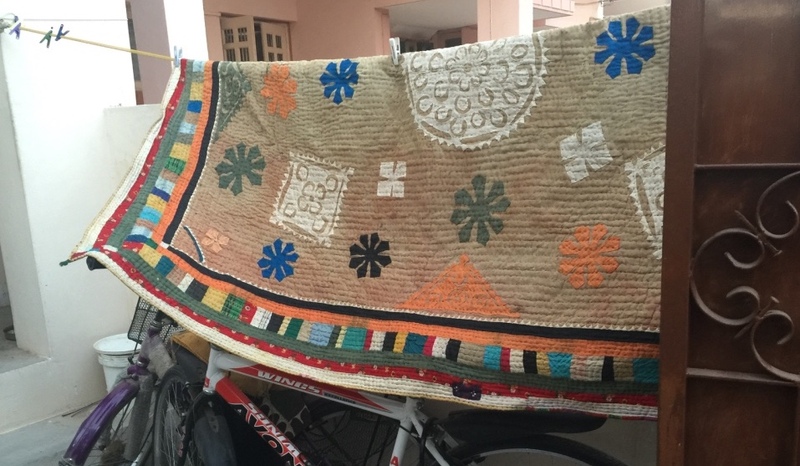 We bought these quilts in villages and towns in the Kutch, a part of the state of Gujarat in India. The opening of our Ralli Quilt exhibit and sale coincides with the Spring Fresh Art Tour which is the weekend of June 1-3. This is a chance to explore the Great River and Chippewa River Valley and meet the artists who work in the area. Click here for a full listing of participating artisans. Ralli comes from the local word "Ralana" which means "to mix or connect." "Mix" aptly describes these quilts. Each quilt is a unique mix of patterns and techniques. Each quilt is a mix of ingenuity and creativity of the woman who made it. Traditionally, these quilts were made for home use from upcycled fabric scraps and used clothing. They were used to cover beds and other items in the home. Since families traditionally ate sitting on the floor, Ralli quilts would often be spread on the floor and used as a tablecloth. These Ralli quilts would look just-right hanging on the wall in your home or office. The detail in each piece makes them interesting even to the most careful gazer. We have attached tabs to each quilt, so they are ready to be hung on your wall. Refer to this earlier blog if you would like more tips on how to hang a handmade textile on your wall. "We love Ralli quilts," summarized Mary Anne Wise, the co-founder of Cultural Cloth. "We like the distinctive patterns, techniques (appliqué, patchwork, embroidery) and colors. The designs and motifs have been used for centuries, yet they have an unmistakable contemporary vibe." 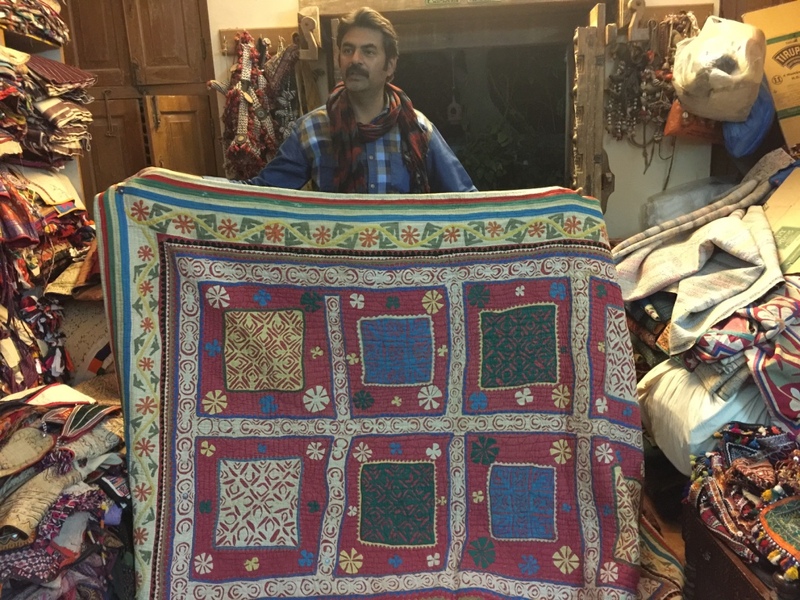 Women in southeastern Pakistan and western India have been making these quilts for centuries, but only recently have western collectors and textile lovers discovered them. Textile experts are researching and writing the story of Ralli quilts. 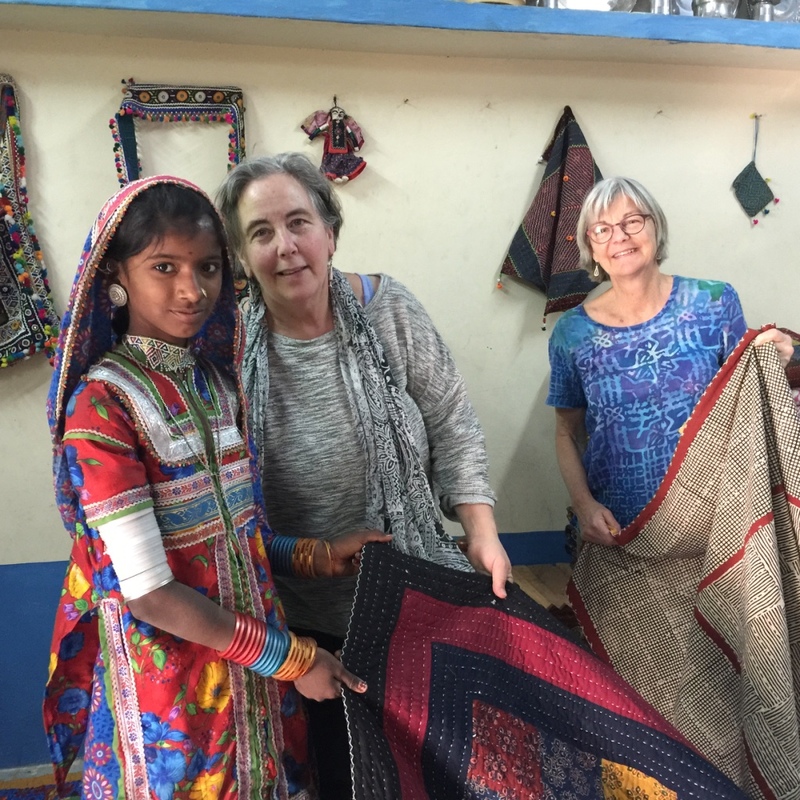 Before we went to India, we consulted with Patricia Stoddard who wrote a comprehensivebook titled: Ralli Quilts. It is a great resource. Traditionally in the villages, these quilts were part of a young women's marriage dowery. Ralli quilts were a measure of wealth. The more quilts a family had, the wealthier they were thought to be. Too bad that wealth is currently not measured by the number of textiles you own. We would be part of the top 1%! The women from these areas made three different kinds of quilts: patchwork, applique and embroidered. The patchwork quilts are the most common. Our exhibit features patchwork and applique quilts. Take a look at the appliqued quilts. We think that some of the appliques look like snowflakes, very light and delicate. The women often also embellish their quilts with bits of mirror, tassels or shell. Two of the Ralli quilts in our exhibit have central areas covered in bandhani, a traditional technique, where the fabric is tied off in a pattern before it is dyed rendering a tye-dyed effect. The Ralli quilts will be on display in our shop from May 31 - July 1. Our shop is open Thursday - Sunday from 10 AM - 5 PM or by appointment.